Almost from their earliest times the ancient guilds undertook a responsibility for the education and training of young people. Training apprentices in the skills of their craft or trade was an important part of a liveryman’s duties. Modern livery companies actively promote apprenticeship schemes as the best way to provide thorough training, especially in the specialised technical skills which are in demand today. The Livery has been involved in university education for many centuries, often as founder or funder of the more ancient institutions and, with the growth of higher education in the nineteenth century, this support grew considerably. Companies helped to found the technical colleges or institutes which were essential if Britain were to keep up with other industrialised countries. Support continues with the endowment of chairs and the supply of expensive equipment together with scholarships and bursaries for young people to study for scientific and technical careers. 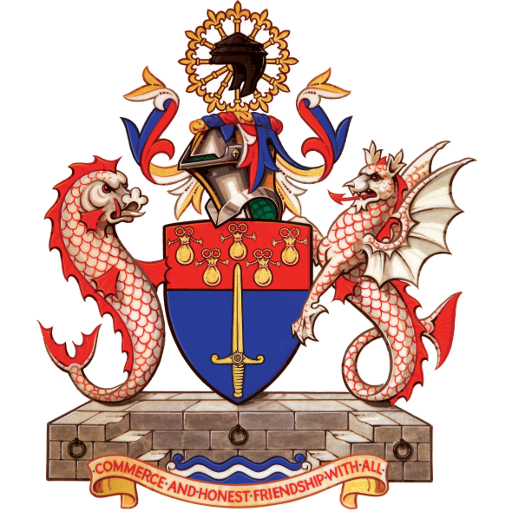 One of the best known examples of the Livery contribution towards higher and vocational education is the City & Guilds London Institute, which was founded in 1878 by the City of London and 16 livery companies. It has since received ongoing support from the Livery. The majority of livery companies have also formed close links with schools, helping pupils to gain the best possible broad-based education – whether by providing a governor to advise on financial and management issues, by support in kind for project work, or by financial help for things the school budget cannot fund. Wealthy liverymen or their widows often set up trusts to found schools which were left to their company to administer after their death. Many of these still flourish, among them Aldenham’s, Howell’s, Bancroft’s, Gresham’s, Oundle, Haberdashers’ Aske’s Schools, Colfe’s, the two St Paul’s schools, Dame Alice Owen’s, Merchant Taylor’s schools, Tonbridge, Wolverhampton Grammar and Foyle and Londonderry College, Northern Ireland. The original trusts still provide support for most of them. Many other schools throughout the country benefit from Livery support in a variety of ways and at differing levels of expenditure. Often, the sharing of expertise and the giving of time can be as valuable as financial help. The City of London’s own schools and the Lord Mayor Treloar College for disabled people also benefit from the involvement of a number of livery companies. You can read more about the work of the World Traders in supporting Educational and Charitable projects here.